Craft Beer Asia is a work in progress. We want to be your portal to exploring the world of Craft Beer in Asia. You may be an expat, craving the hops in a far away land, or a traveler not satisfied with drinking mass produced crap during your travels. As this project grows, we will be your source for finding craft beer wherever you may be in Asia. We also seek contributors who have the taste for craft beer and have found a gem in their travels. 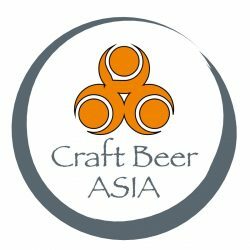 Craft Beer Asia is also open to collaborating with organizations dedicated to helping the craft beer industry in Asia grow and flourish. Contact us with ideas. I would love to talk with your team more from the view of an American Craft Beer Exporter. Hi Mike, please email me direct at rob.trent@craftbeerasia.com. Would like to talk as well. Cheers! We are looking to get some craft beer into our Venue in Perth, Australia. Would you be able to get us in contact with an Australian Exporter. Head Bartender, Lucky Chan’s Laundry & Noodle Bar, Perth. Hello, i am the owner of a Restaurant and Pub in the NorthEast of Thailand that is featuring craft beers especially those from Thailand. I would be interested in becoming a contributor to the Thai Craft Beer Section if at best for the North East Region. Also would like to know how to get listed on this site as a venue serving craft beers? Hi, I am interested in contributing a piece about exporting craft beer. Who do I need to speak to? Hi Craft Beer Asia, I would like to enquire if you guys has idea on opening a craft beer retail in Singapore after consolidation of beers around the world? Currently, there is only 1 crafted beer retailer in Singapore. I would like to hear from you soon.